Brenda Devine and Lisa Bagian will teach up to 10 intermediate- to advanced-level students how to hand sew the award-winning “Dear Jane” masterpiece. Each month, Brenda and Lisa will provide step-by-step instructions on a few of the blocks until you end up with your very own 19th-century hand sewn Dear Jane quilt. 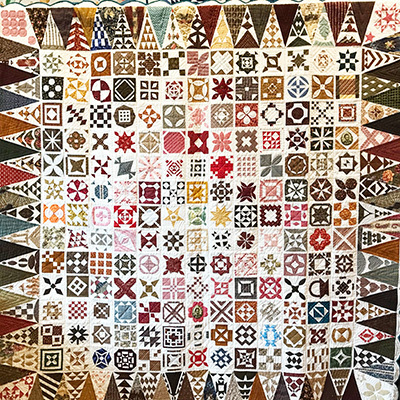 The quilt dates back to the Civil War when in 1863 Jane Stickle hand-sewed this quilt to help assuage her worries about her family and friends off fighting in the Civil War. Many of us can relate to how we turn to our craft to get us through tough times. This class will be taught just like that in the era of hand sewing. Blocks will be sketched by pencil and ruler and no modern tools will be used.